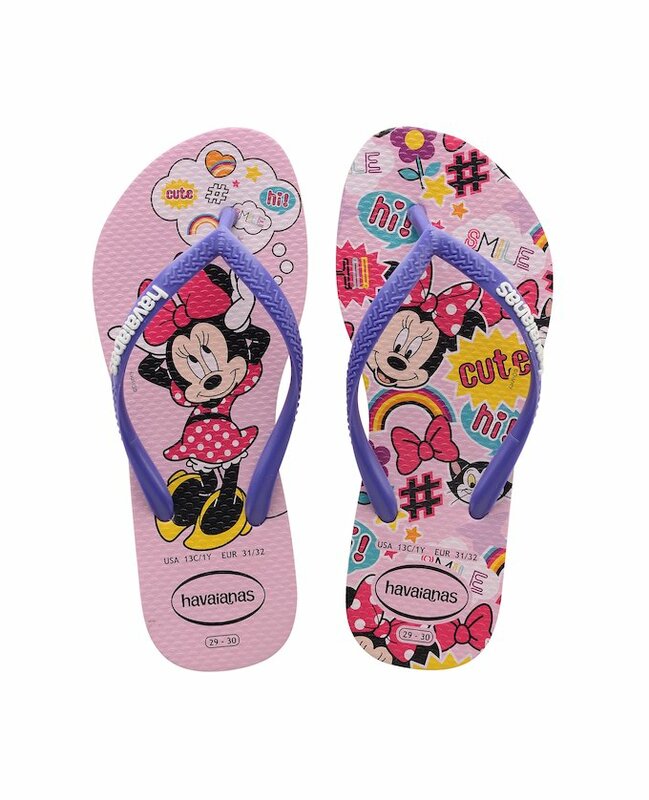 Brazil's original and authentic flip-flops specially for kids who love Disney. The sole features prints of Mickey and Minnie. They also have a bow-shaped metallic charm on the strap. Available in these two different models.